Discovered in Gabon, Africa, the new genus, Sirdavidia, was created to encompass and new species of flowering plant, Sirdavidius solannona, belonging to the custard apple family. The international team found the specimen which bears fuchsia flowers, in Monts de Cristal National Park. They chose to honor Sir David Attenborough for his considerable contribution to science and his personal influence on the many researcher involved in its identification, especially lead researcher Dr. Thomas Couvreur. 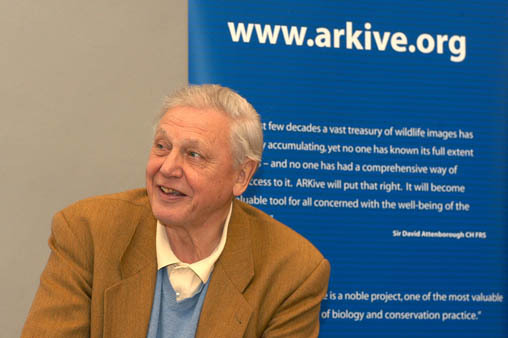 Sir David Attenborough may be most recognized from his BBC nature features including Planet Earth, The Life of Mammals, and Blue Planet – all of which he wrote and narrated/hosted. UPDATE: Sir David also has a species of hawkweed(a cousin of the dandelion) named after him, Hieracium attenboroughianum, which is found in the Brecon Beacons mountain range of Wales. Named by taxonomist Tim Rich (likewise inspired by Sir Attenborough’s work), it is the only endemic plant to Sir Attenborough’s home of the United Kingdom to bear his name. Read more about the Sirdavidius Solannona at Sci-News and read more about “Attenborough’s Hawkweed” at the BBC and The Guardian which also catalogue numerous other flora and fauna bearing Sir David Attenborough’s name. Read even more from The Good News Review by following us on Twitter @tgnreview and Facebook!